BRYAN EATON/Staff Photo. 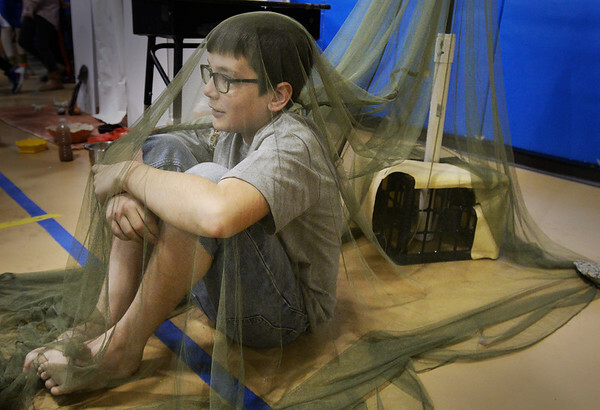 Sam Warren, 12, is covered in netting to prevent being bitten by moquitoes while playing one of the 'Lost Boys of Sudan" at the Pine Grove School. Sixth-graders have studied African culture and presented several displays showcasing such.